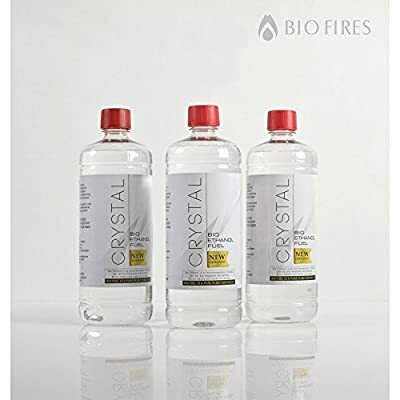 Crystal Bio Ethanol is a completely Eco-Friendly fuel. It is produced from food waste, creating no extra environmental harm, therefore it is one of the cleanest and most efficient sources of extra heat in your home. Ethanol fireplace is one of the safest and cleanest fireplace solutions for modern eco-homes. When burning there are no toxic fumes or soot produced, therefore YOU DO NOT NEED A FLUE. A window in a room, which you can open when it gets too hot is perfectly sufficient. 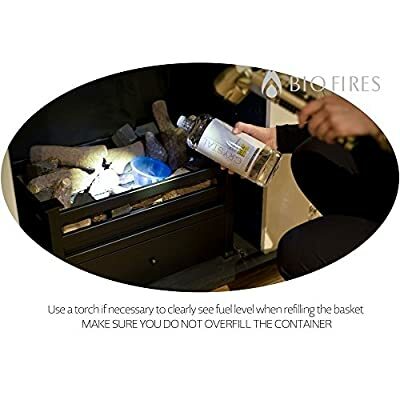 The heat output depends strictly on the type and size of container and following this - the type and size of flames, but on average a bigger Bio Fireplace produces approx. 2-3kW of heat per hour and a small table top burner approx 0.5-1kW of heat. 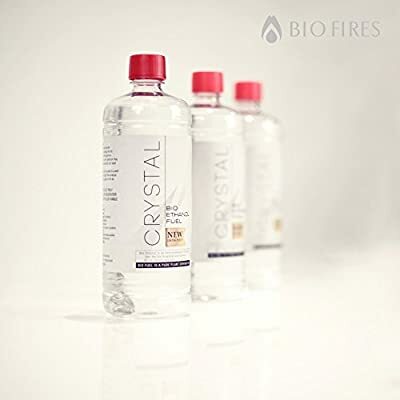 You will feel it in any average size room, although any biofire cannot replace conventional heating. Bottle capacity: 1L. Bottle Recyclable: yes. Cap: child-proof (press and unscrew) Where to store: cupboard, shed etc, indoors or outdoors, anywhere where you could store your spirits (i.e whiskey). It will not freeze and will not pose any danger when kept in a living room or a hall cupboard. The fuel is highly flammable when you put flame to it, but it is not explosive when sealed in bottle. 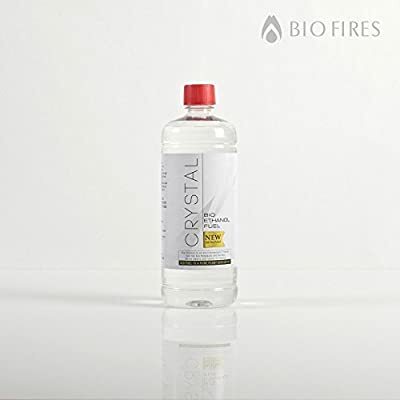 FOR BEST FLAME RESULT THE FUEL NEEDS TO BE IN A ROOM TEMPERATURE WHEN LIGHTING, so always make sure that you keep couple of bottles handy in a room cupboard. 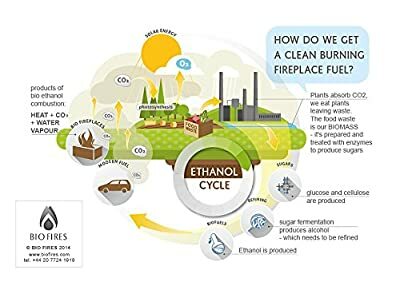 Burning time: depends strictly on type of container, please refer to each product for this information Heat produced: heat is produced straight from flame, so the bigger the flame the more heat. 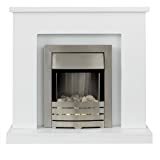 Small tabletop burners will usually produce approx 0.5-1kW of heat, large fireplaces between 1-3kW. Please refer to guidance information on each product details page. How to extinguish bio ethanol flame in case of spillage: best extinguishers for liquid alcohol is CO2, then foam. Powder extinguishers will work, too, but they will most likely damage the unit irreversibly. Do not use water, as it will dilute the fuel and spread the flame with it. In case of mishandling the fuel and if CO2 or powder extinguishers are not available, use thick blanket/heavy piece of clothing to cover the flame and cut the oxygen supply.